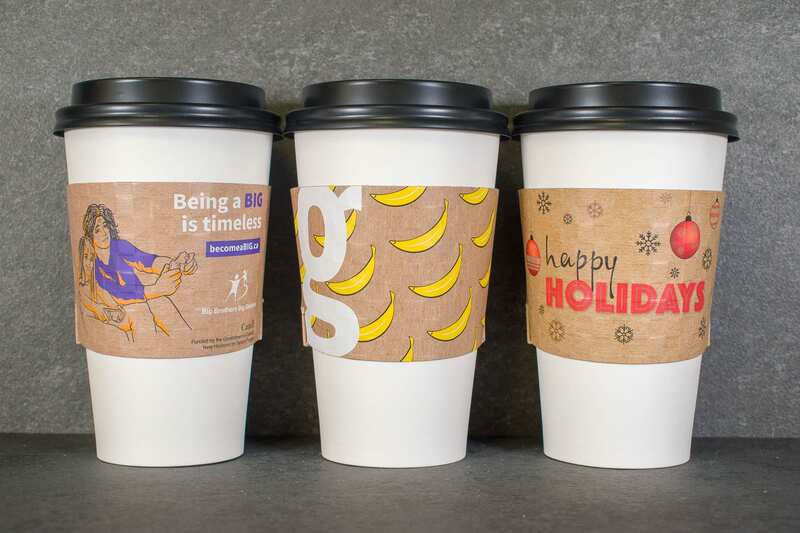 Print your coffee sleeves in full color CMYK for unlimited colors! 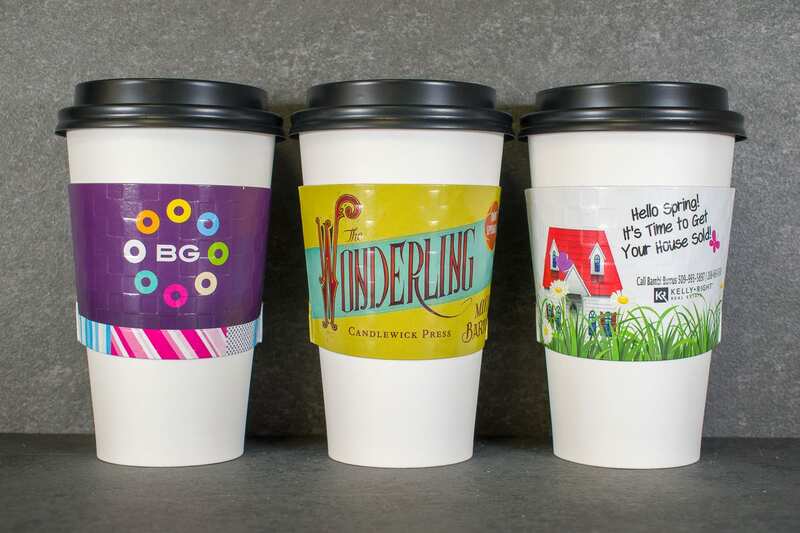 Bring your coffee sleeves to life with amazing full color graphics and logos. 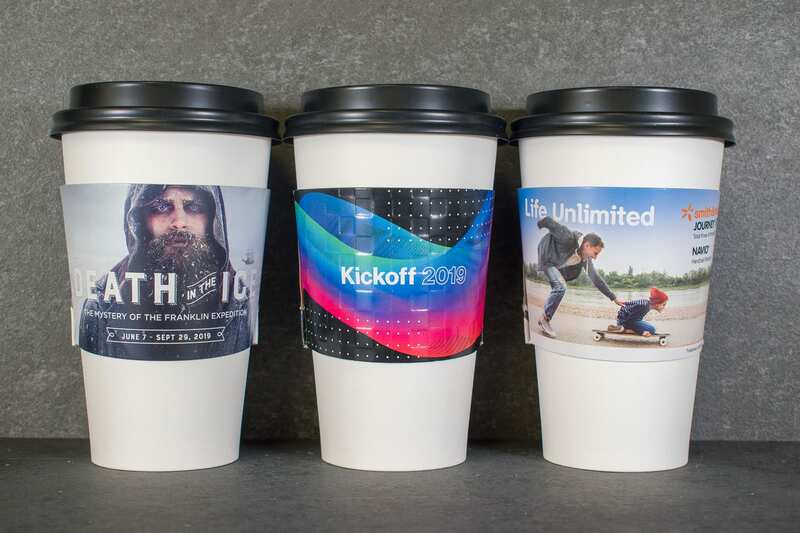 Our PREMIUM full color coffee sleeves offer unlimited personalization with full background printing, high resolution photos and graphics, and unlimited colors. 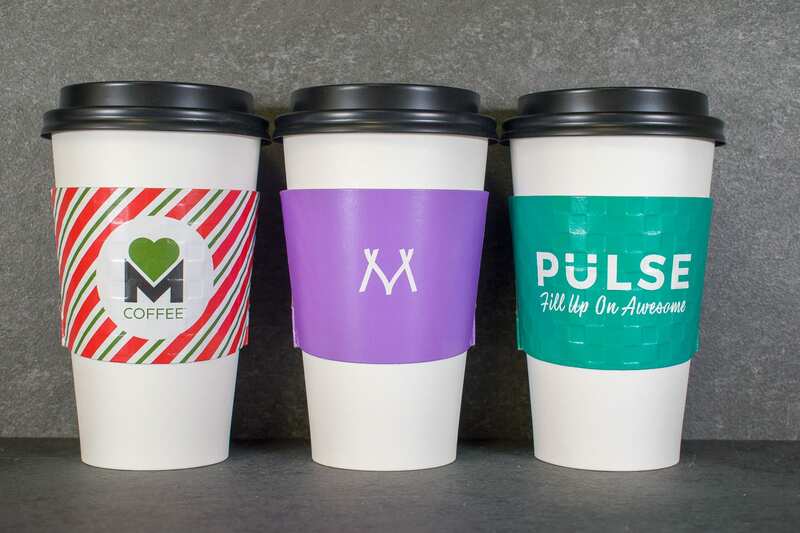 You won’t want to go back to a plain or Kraft sleeve once you achieve maximum brand recognition with a HotShot coffee sleeve. Production turnaround time for orders up to 20,000 sleeves is up to 7 business days (+ shipping time) after proof approval. For faster production time and/or rush shipping services then please contact us regarding additional costs. FREE Shipping within Contiguous USA included in prices. 30 Minutes FREE Design time included. Need an 8oz or 10oz sleeve? In addition to our regular size sleeve for 12oz to 20oz cups, we also make a sleeve for 8oz cups as well as a sleeve to fit 10oz cups. Important: 10oz Sleeve - Our regular size sleeve does actually fit many 10oz cups, however it is not a copletely ideal fit. Request samples to test out. Please contact us for information on pricing and production requirements.